Nearly six million Australians are living with at least one dental or oral health issue, according to new Medibank data released today. Findings from the Medibank Better Health Index1 – which surveys 1,000 Australians every week – show 5,707,000 people are affected by at least one dental or oral health issue2, with females making up 55 per cent of this total figure3. The Medibank data has been released following a new government report which reveals considerable median waiting times for public dental support, with the average wait for general dental care exceeding one year in multiple states. The report also outlines that while 36 per cent of Australians are eligible for public dental care, current funding for oral health services only allows for 20 per cent of the eligible group to be treated. Of the conditions surveyed, tooth decay was found to be the leading dental or oral health issue facing Australians, affecting 14.7 per cent – equivalent to 2,759,000 million people. And while the percentage of those affected by tooth decay was found to decline overall since 2012-134, the data shows that in recent years, this has begun to once again increase, with an upswing from 13.9 per cent in 2014-15 to 14.7 per cent in 2016-17. This represents an increase of 216,000 Australians. Interestingly, males were more likely to be affected by tooth decay than females – at 16.5 per cent compared to 13 per cent – however, females were far more likely to struggle with sensitive teeth, with a whopping 18.9 per cent affected, compared to just 9.9 per cent of males. “It’s concerning to see there’s been an upswing in the percentage affected by tooth decay in recent years, as this may reflect a trend towards poor oral hygiene or diets higher in sugar. Regardless of whether you’re experiencing dental health symptoms or not, it’s important to get a dental check-up at least once a year to ensure everything is in order and any issues can be caught early on,” Dr Swan continued. Avoid smoking: It’s best to avoid smoking completely. Not only can it lead to a number of dental issues, including stained teeth and tooth loss, but it can also increase your risk of mouth cancer. Reduce sugar intake: It’s best to limit your consumption of fizzy drinks, chocolate and sweets, as these foods contain high amounts of sugar which can significantly contribute to tooth decay. Visit the dentist at least once a year: Having an annual dental check up will both help prevent dental health issues, and catch any problems early on. Medibank offers 100% back5 on your annual dental check up for those with Extras cover. Wondering if you should go for a manual or electric toothbrush? Or how to care for your teeth when you have braces? Visit our Healthy teeth collection for everything you need to know. 1. Research from the Medibank Better Health Index, conducted by Roy Morgan Research. Data collected between July 2016 to June 2017. 2. 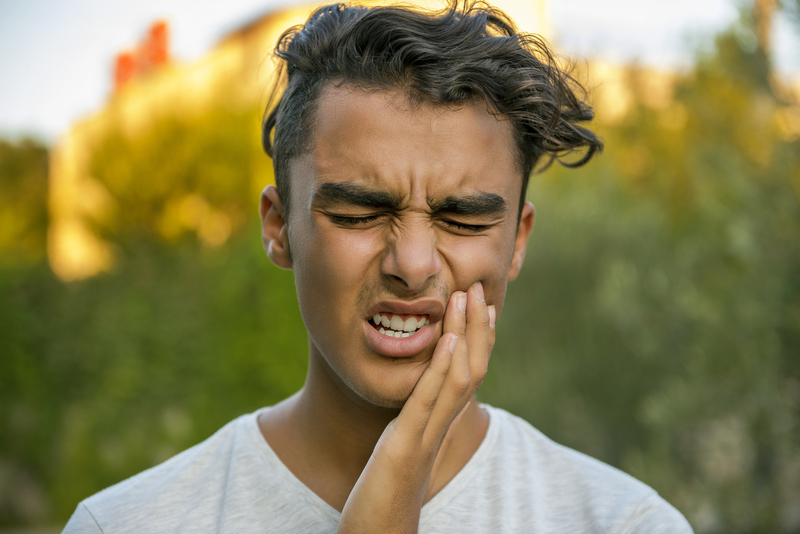 Conditions surveyed include: tooth decay, gum problems, canker sores, coated tongue, sensitive teeth, and TMJ syndrome. 3. 3,138,000 million females, compared with males at 2,569,000. 4. Affecting 15.1% in 2012-13. 5. 100% back for any Medibank member with extras cover at Members’ Choice providers. 2 month waiting period applies. Excludes x-rays.